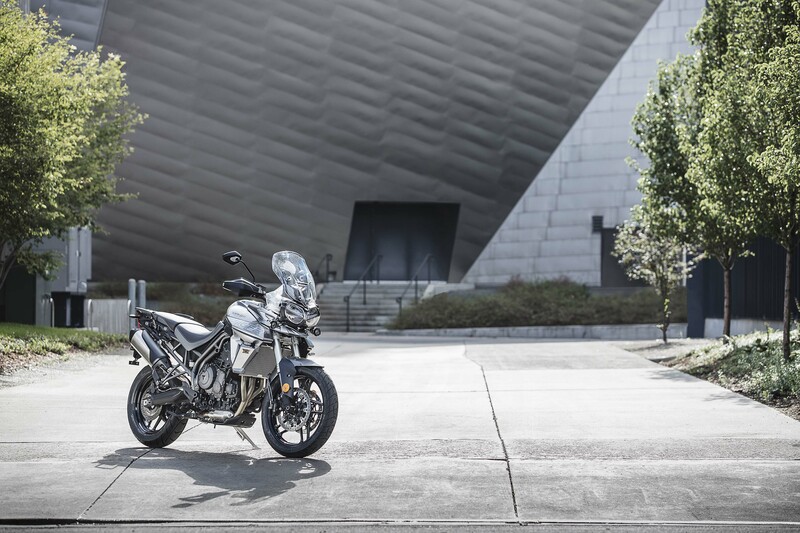 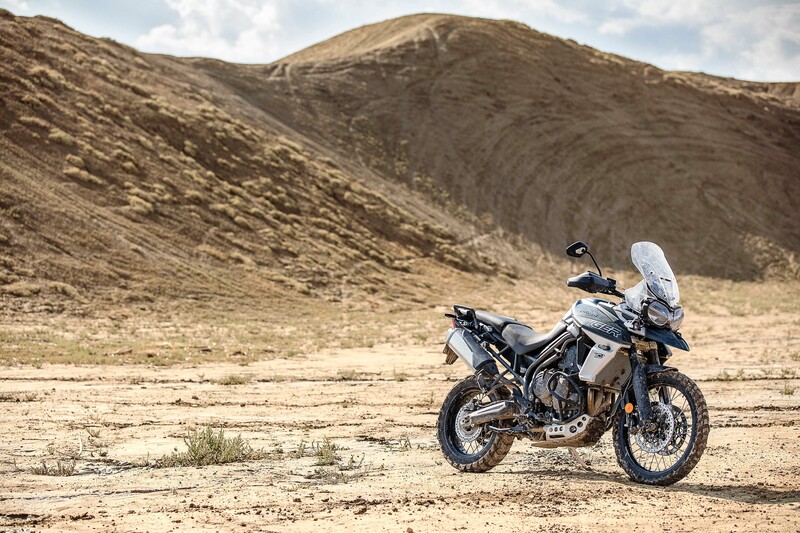 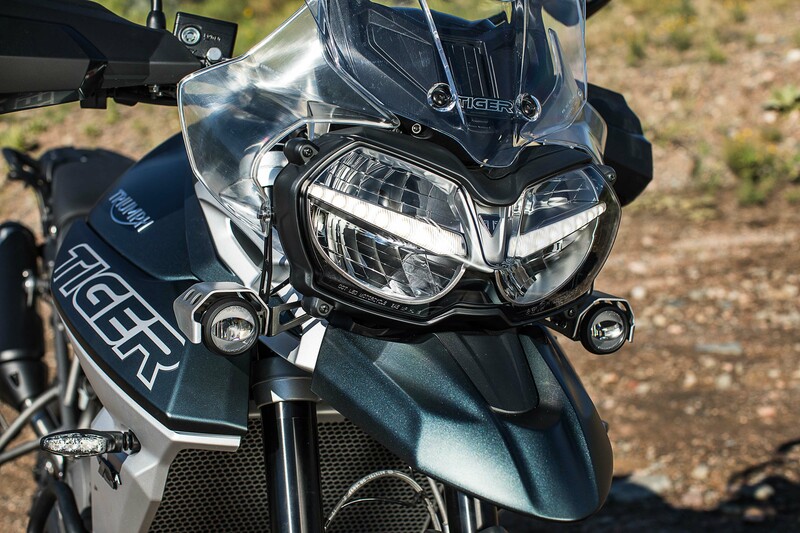 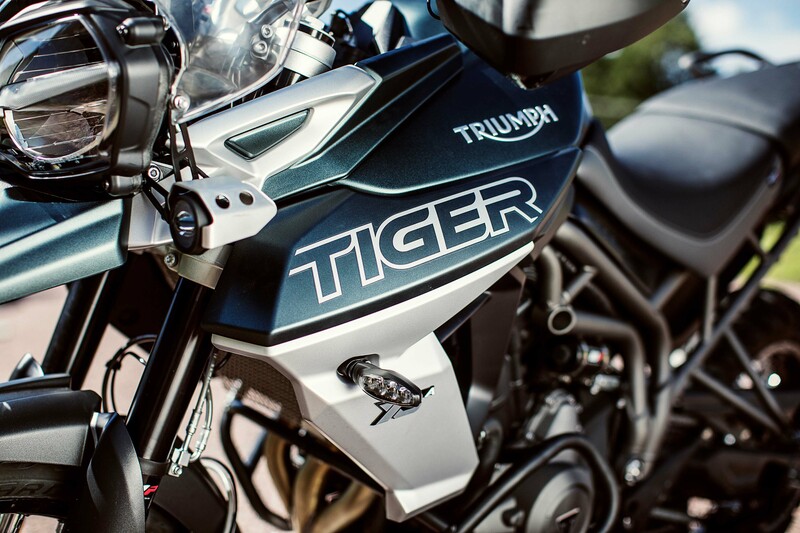 The Triumph Tiger 800 gets a refresh for the 2018 model year – 200 of them, if you believe the British brand, though they are hard to spot with the naked eye. 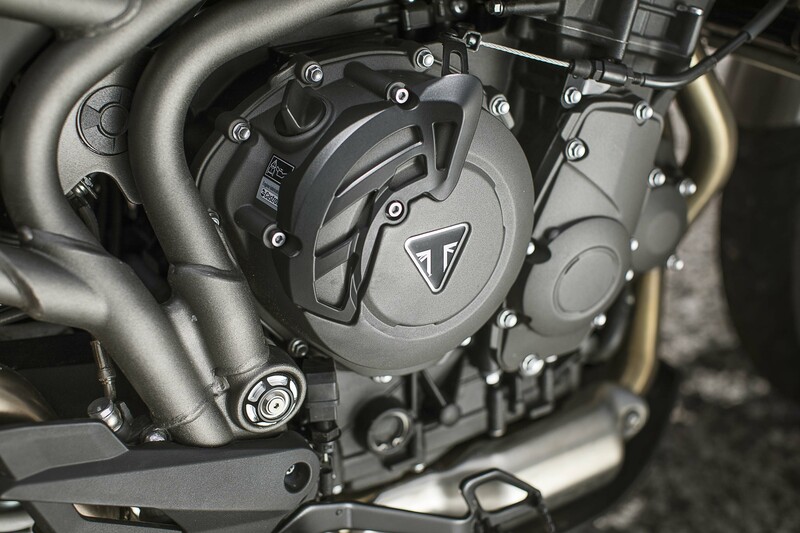 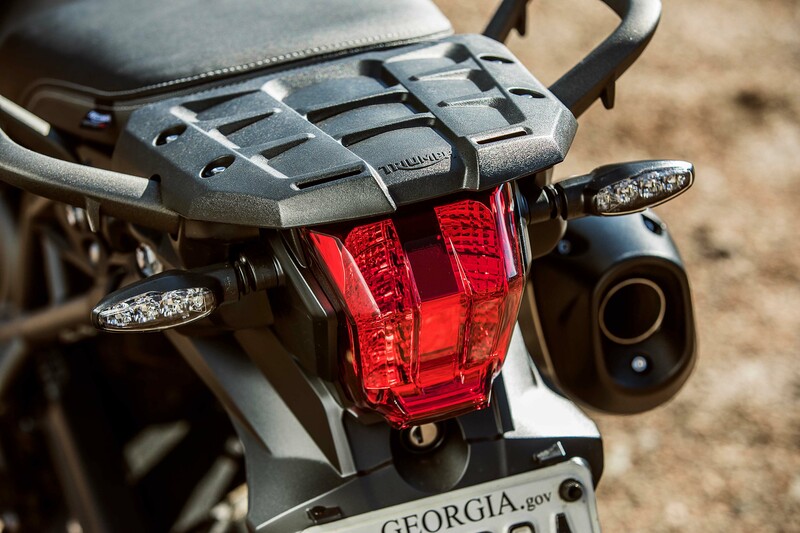 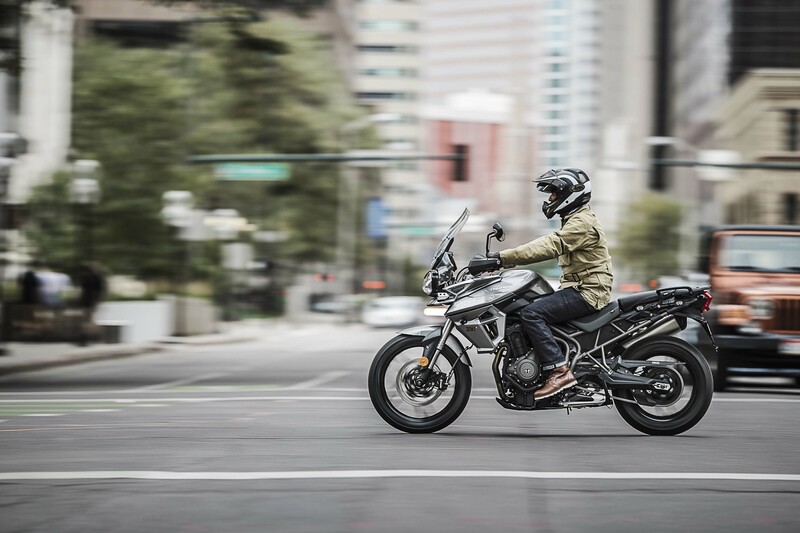 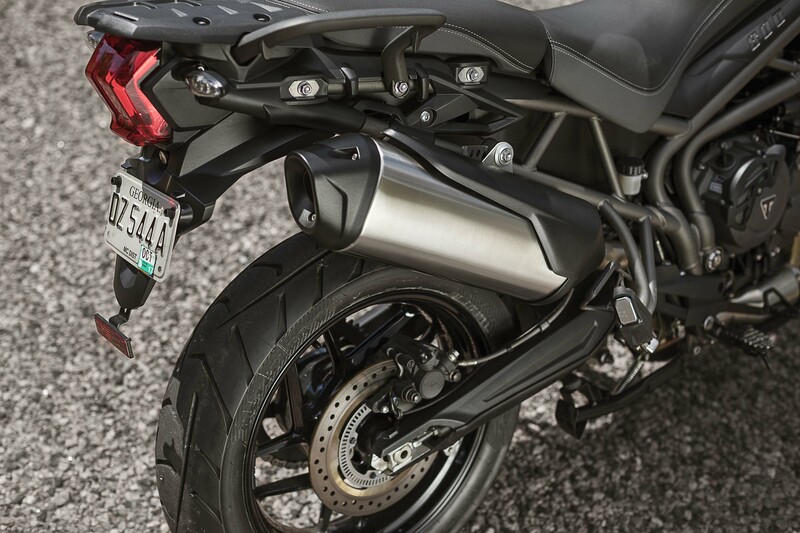 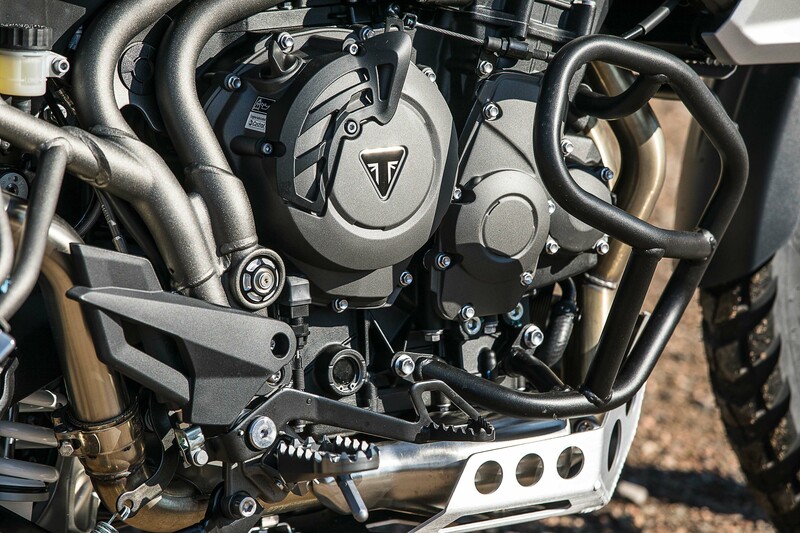 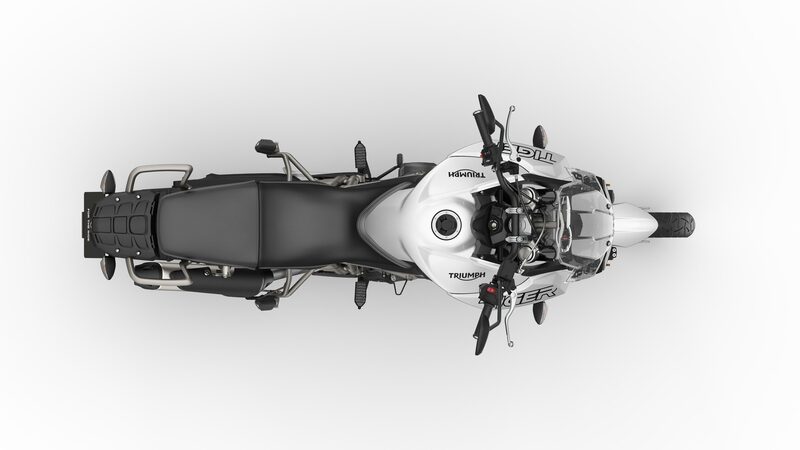 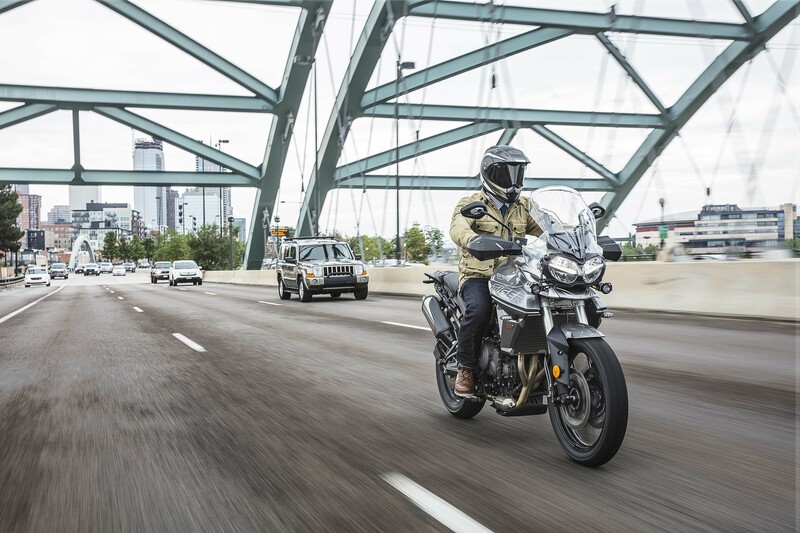 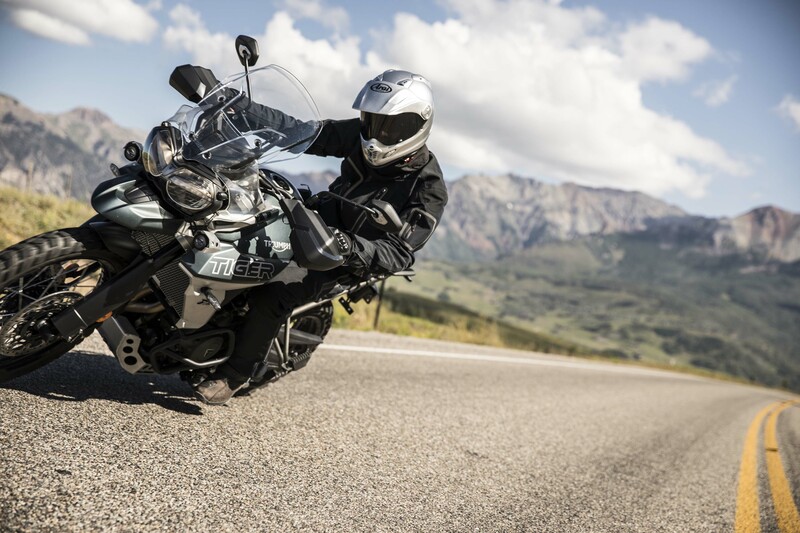 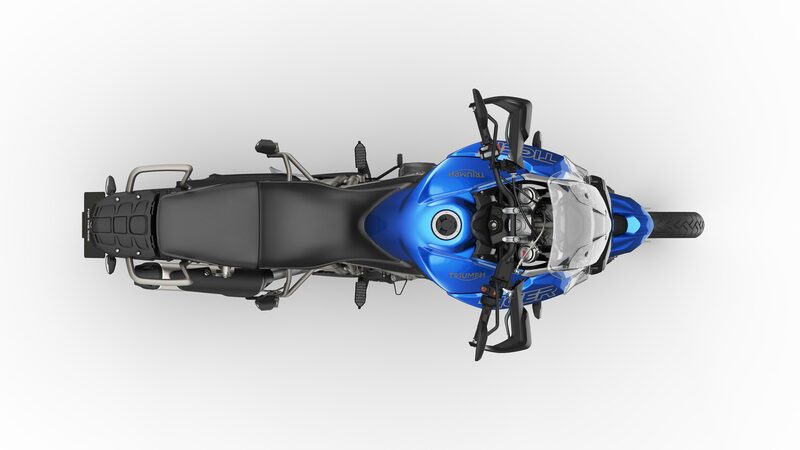 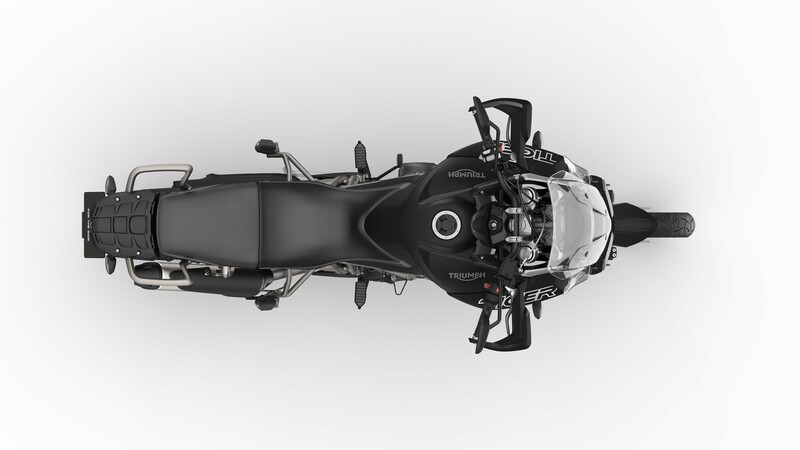 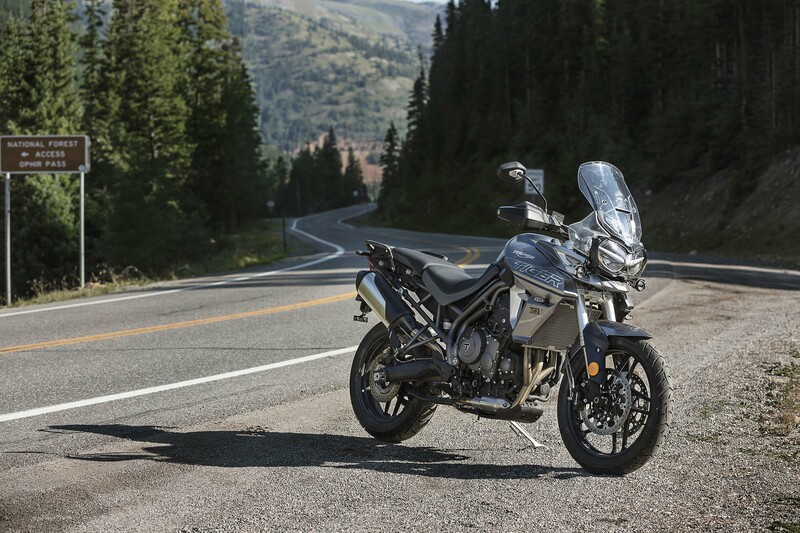 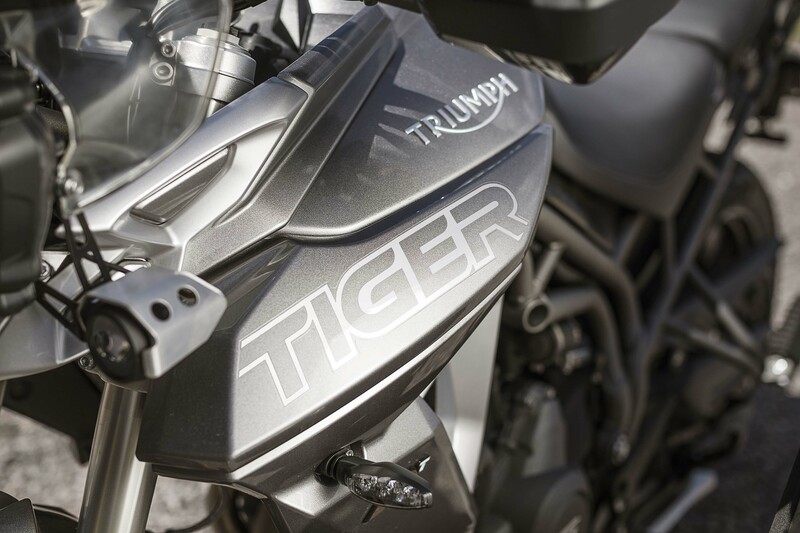 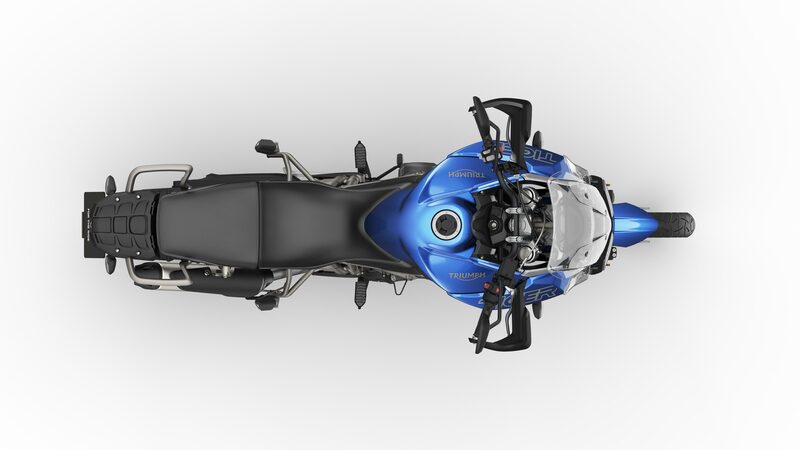 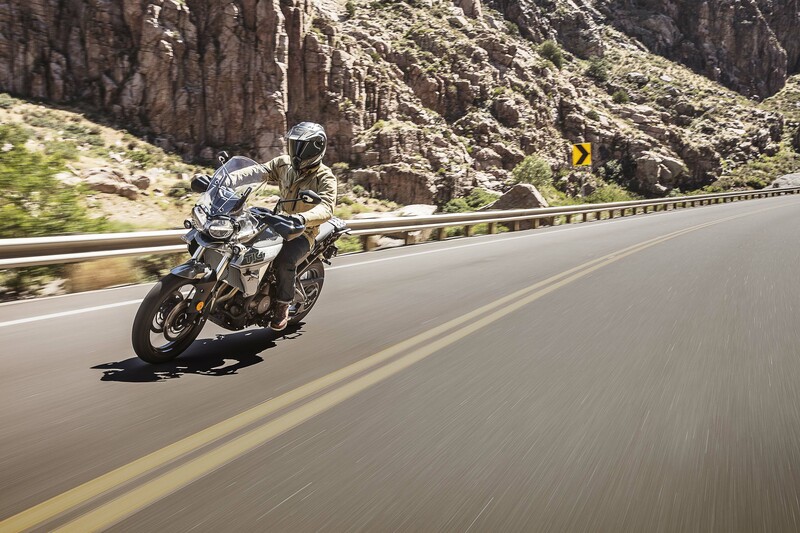 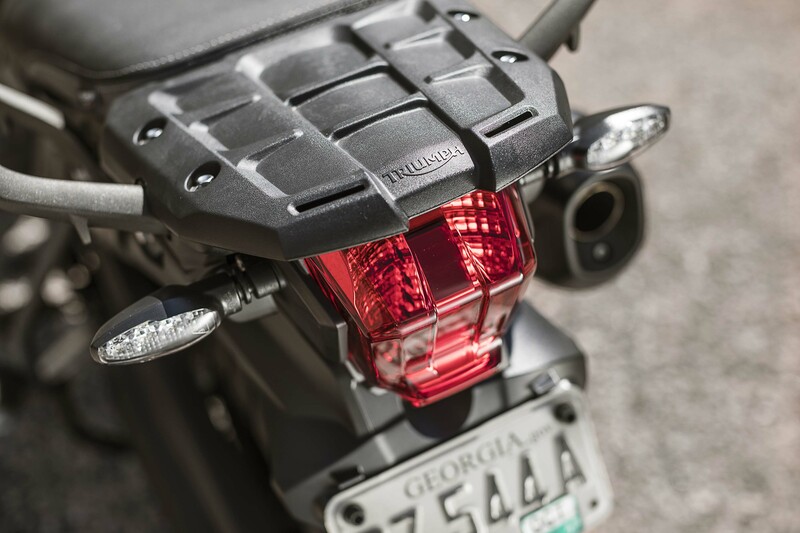 While not a completely new ADV bike, the 2018 Triumph Tiger 800 does get meaningful upgrades to a variety of its core systems, helping it maintain its status as the benchmark in the middleweight ADV category. 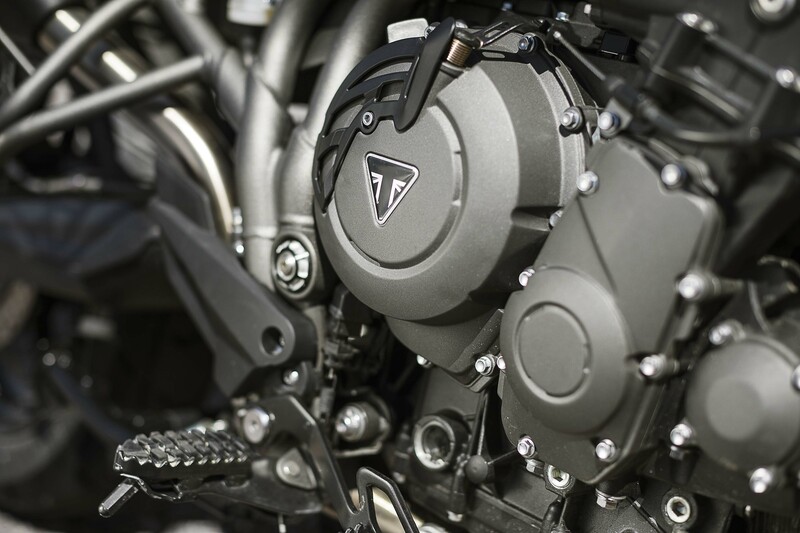 Triumph tells us that the 800cc three-cylinder engine has been made more responsive, while peak power remains at 95hp. 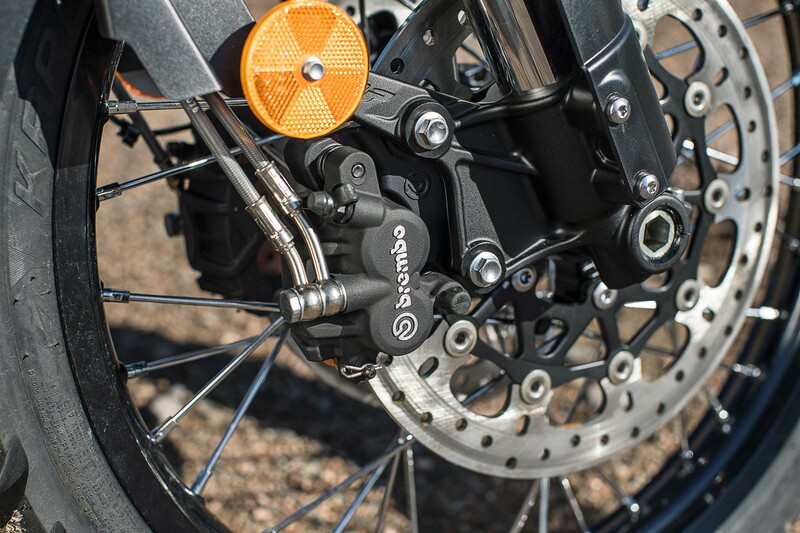 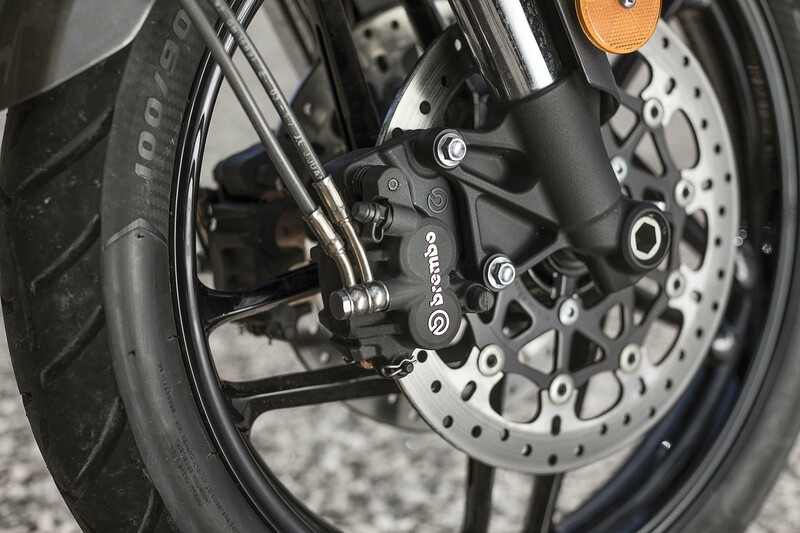 The Brits have also shortened 1st gear, for better low-speed character. The exhaust has been worked over, as has the new five-position windscreen. 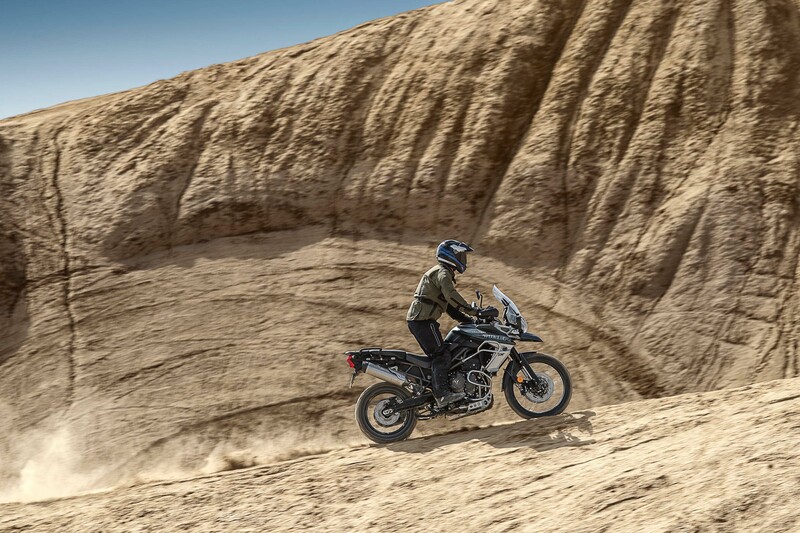 Of course, the feature you will be really happy to hear about is the new “Off Road Pro” mode (XC models only), which lets one turn off the various rider aids, which is ideal for off-road riding, especially if you are a pro. 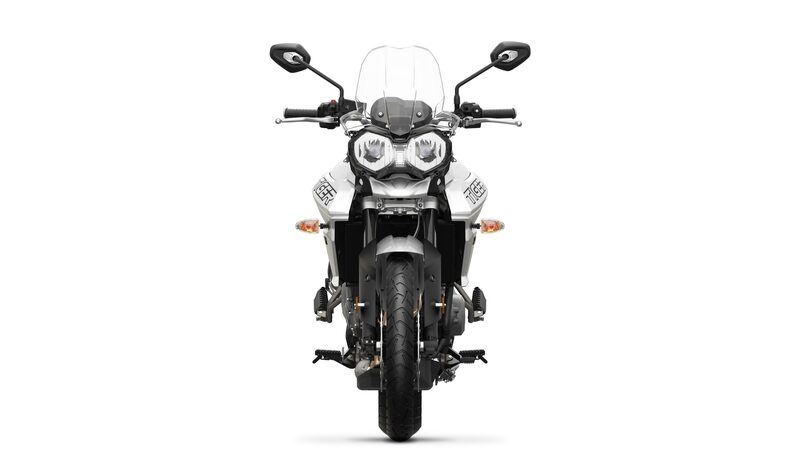 So…that name makes a bit of sense. 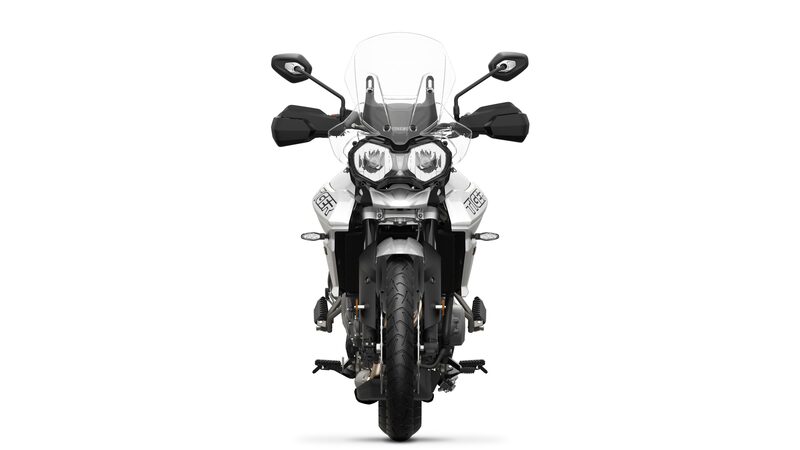 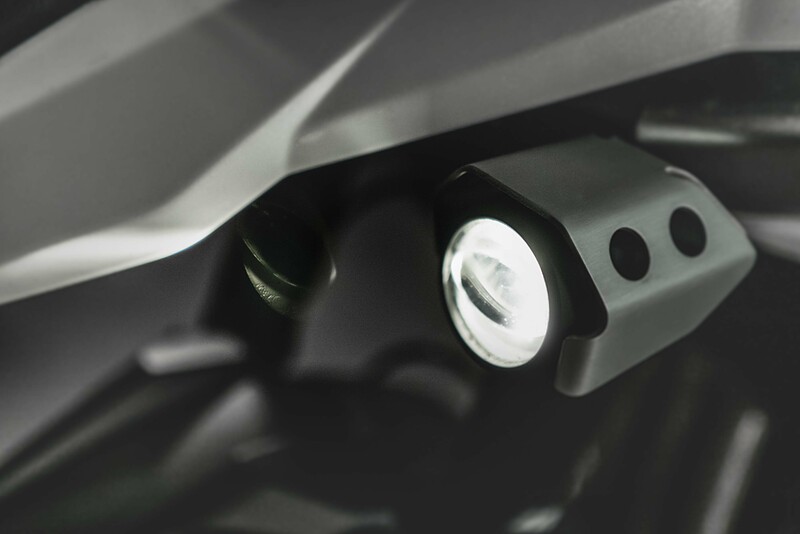 Adding to the changes are the full-LED lighting elements, the subtly changed bodywork, and the bevy of new colors that Triumph has cooked up for the ADV line. 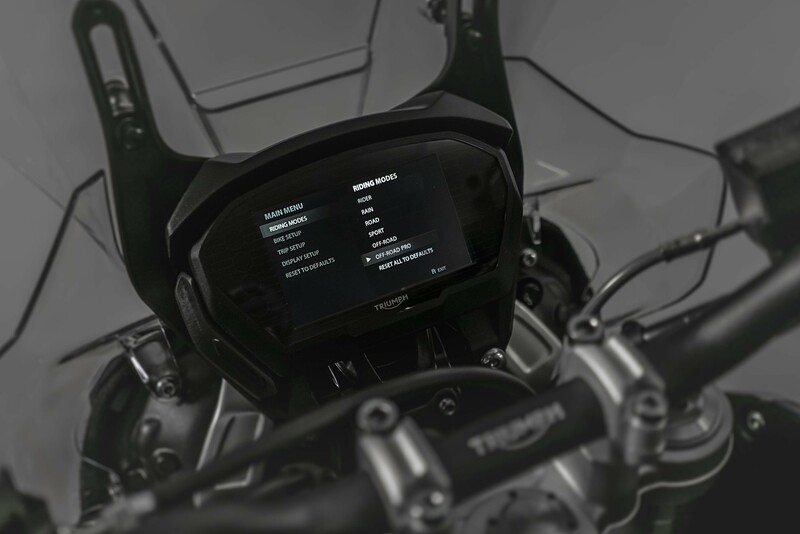 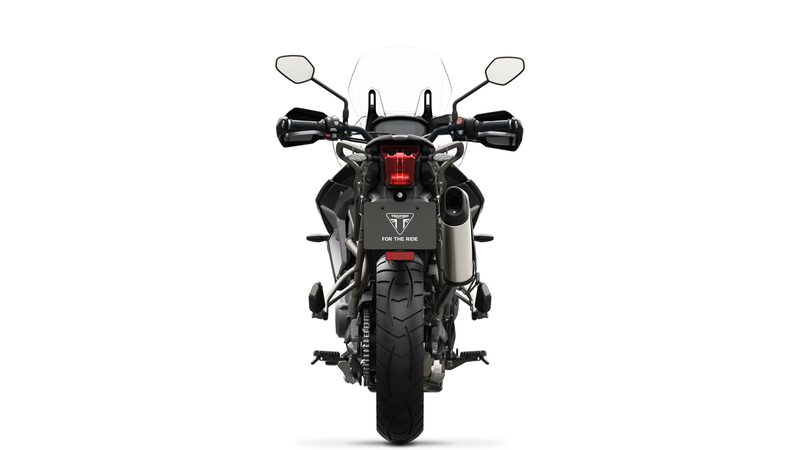 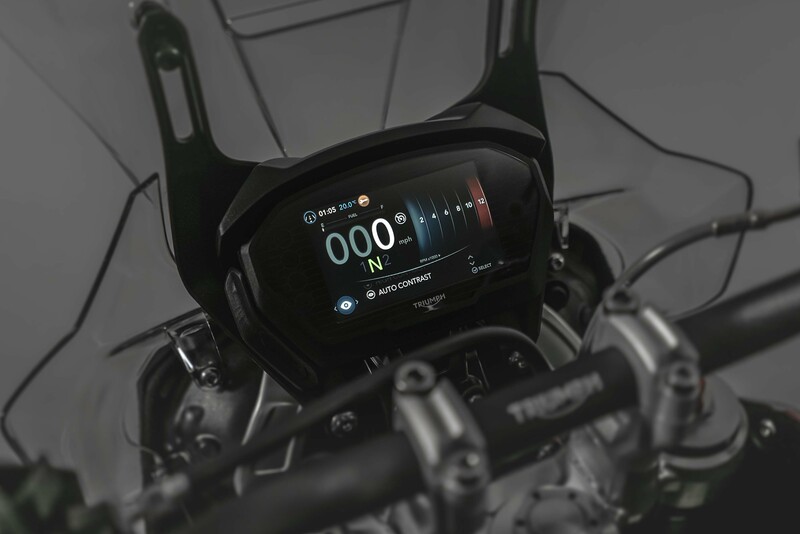 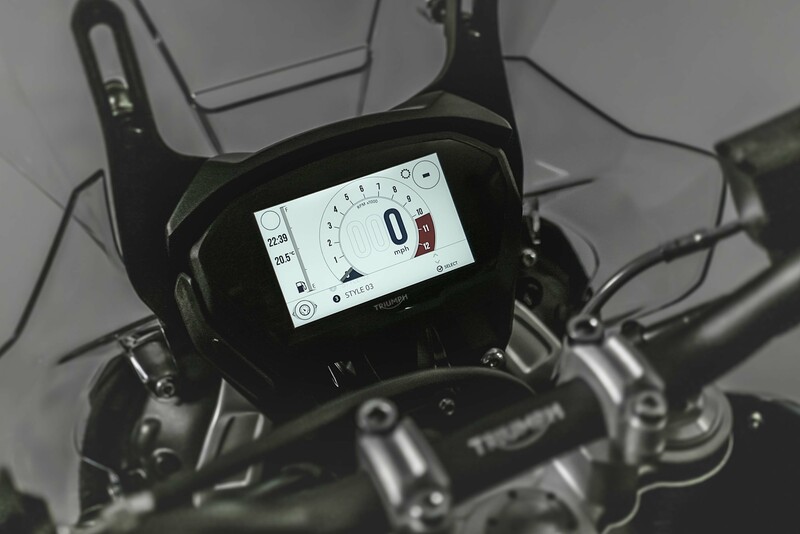 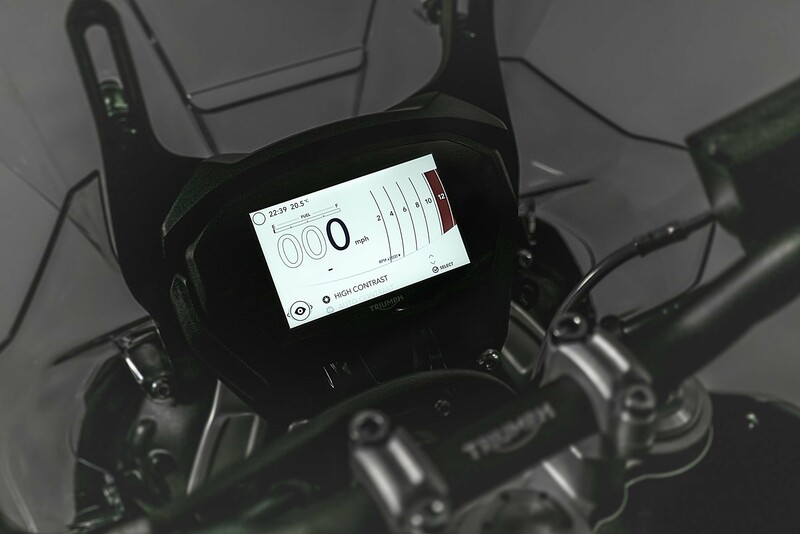 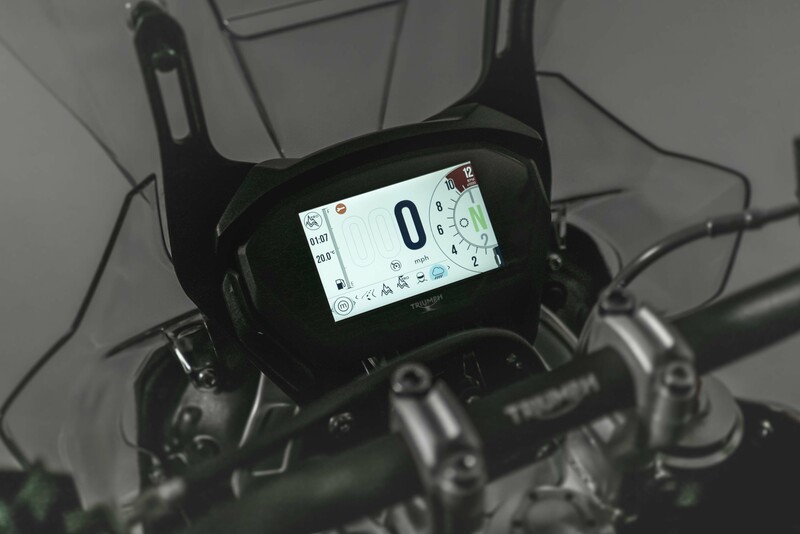 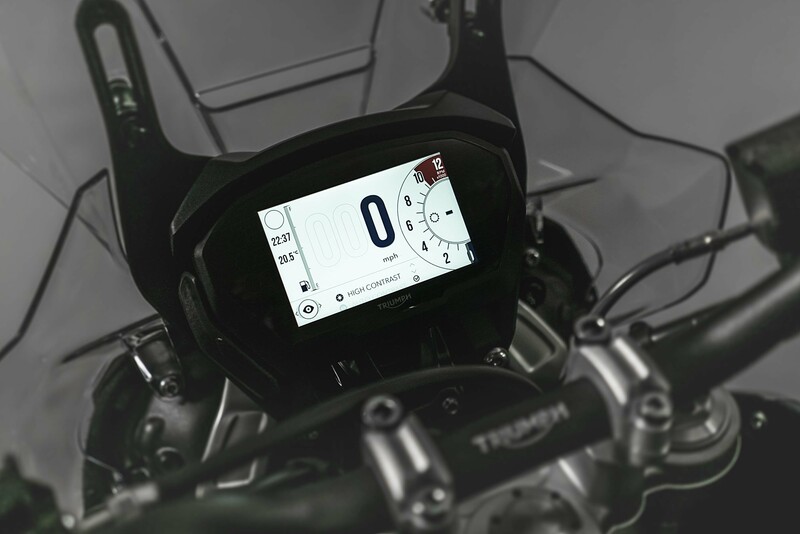 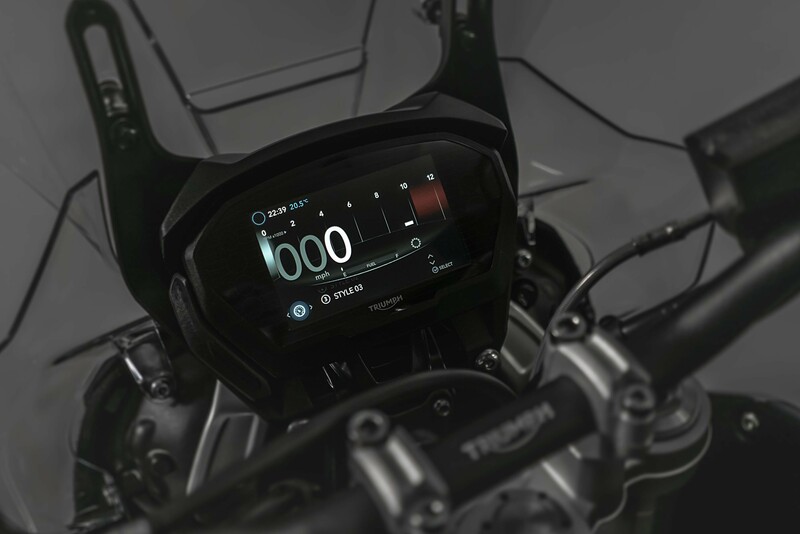 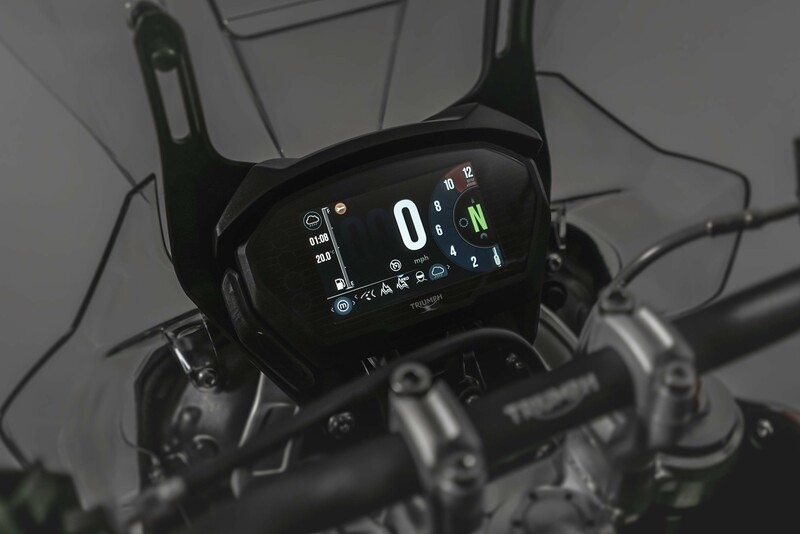 Our favorite feature has to be the new TFT dash though, which takes a page from the new Triumph Street Triple 765, and has a number of smart-looking interface designs. 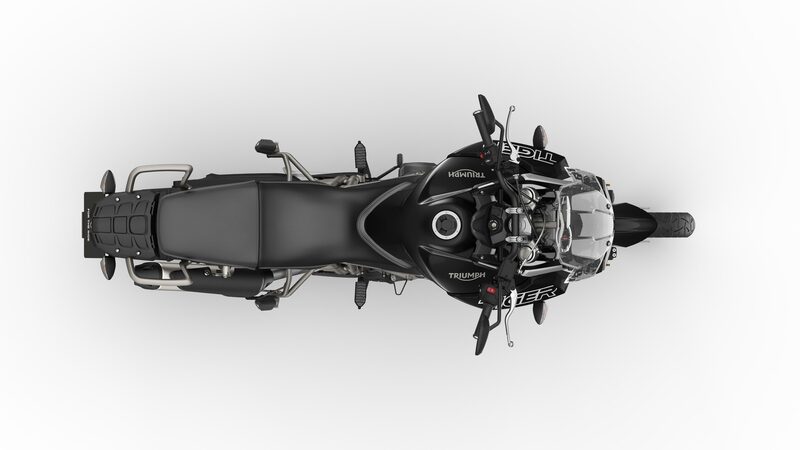 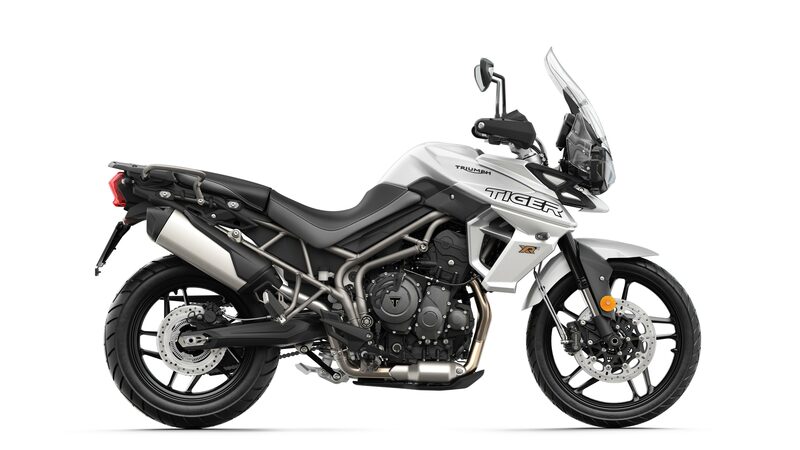 Other standard features include traction control, ABS, ride-by-wire throttle, cruise control, heated seats and grips. 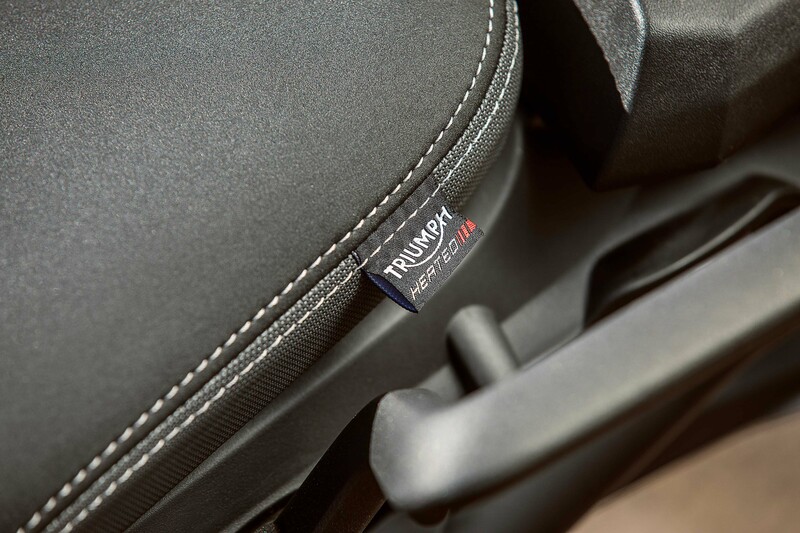 For 2018, a “low ride height” model continues to be also available, for riders with shorter inseams. 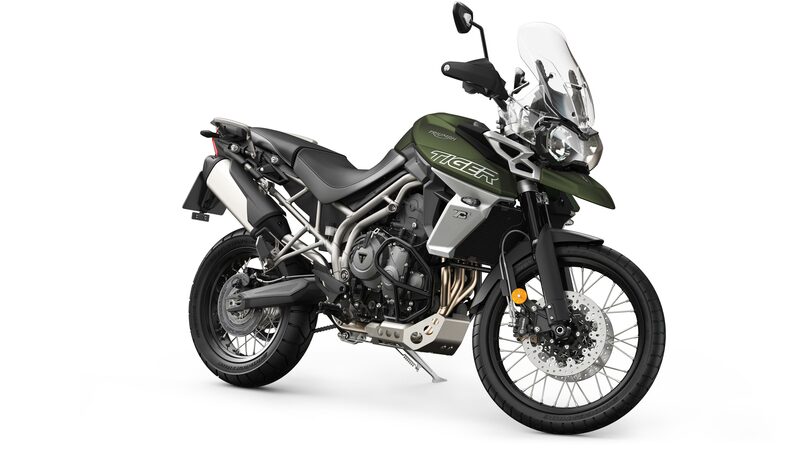 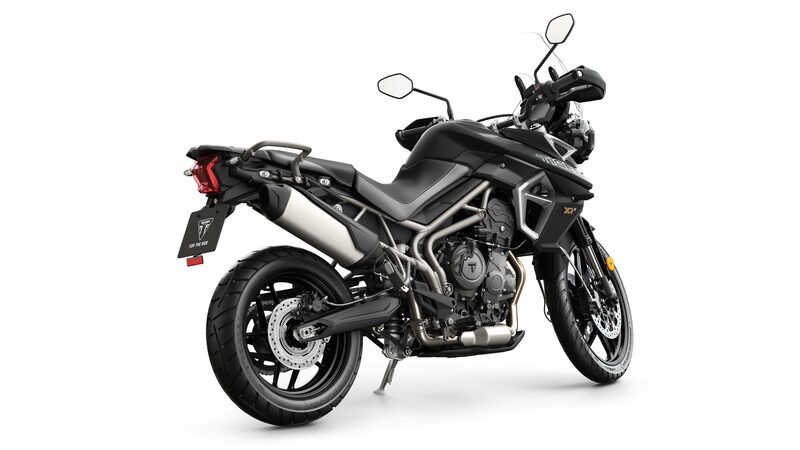 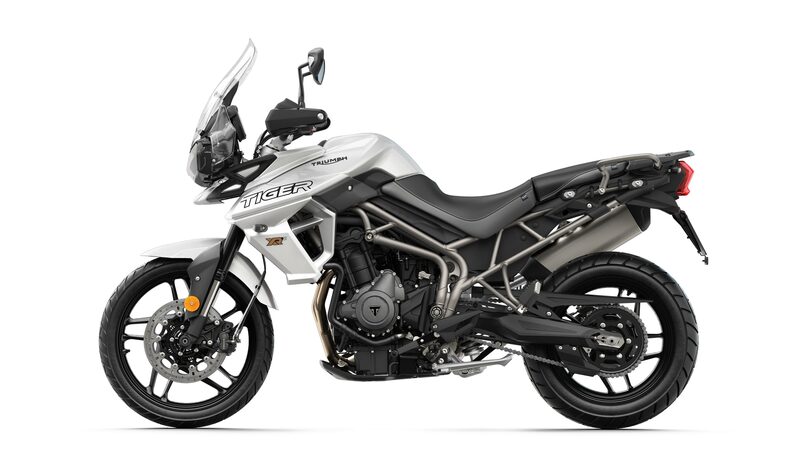 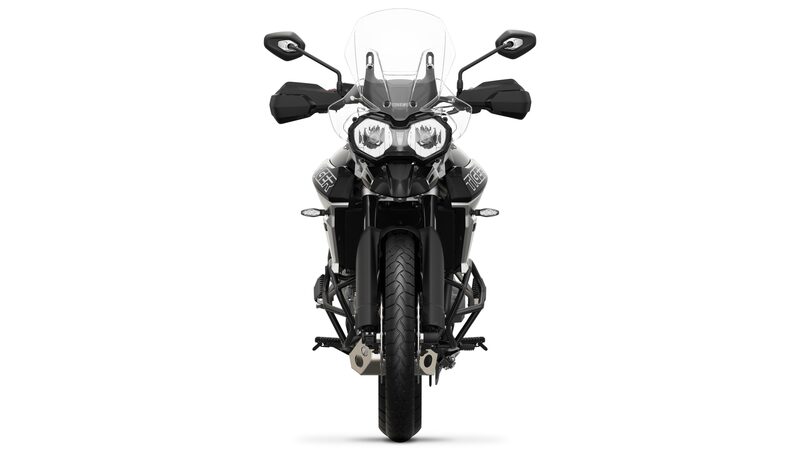 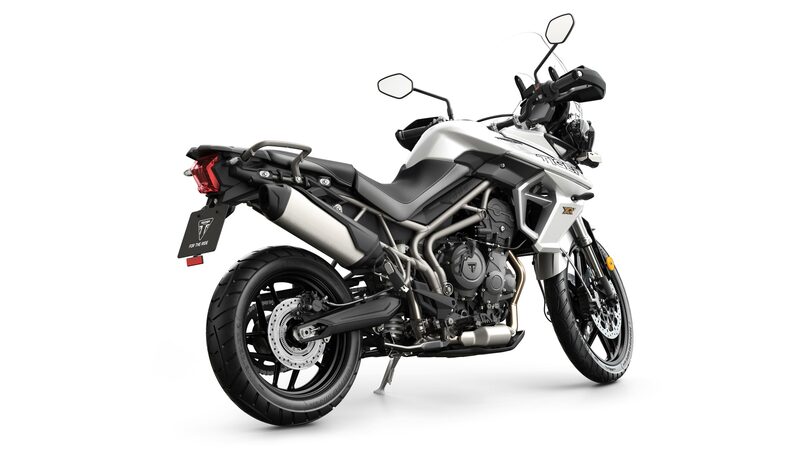 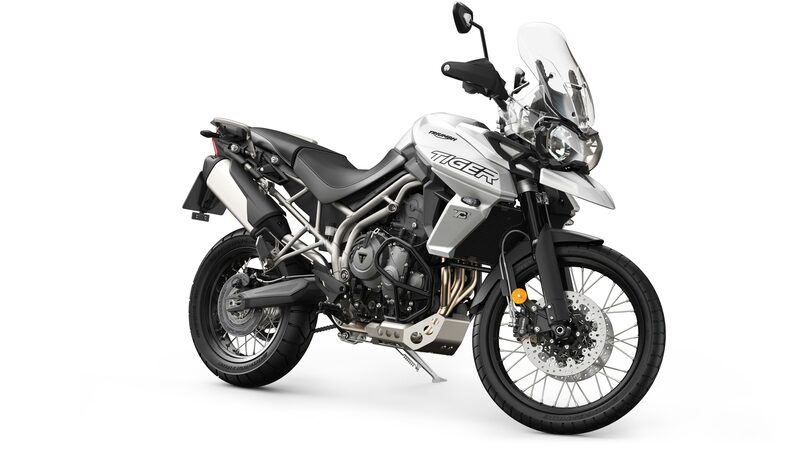 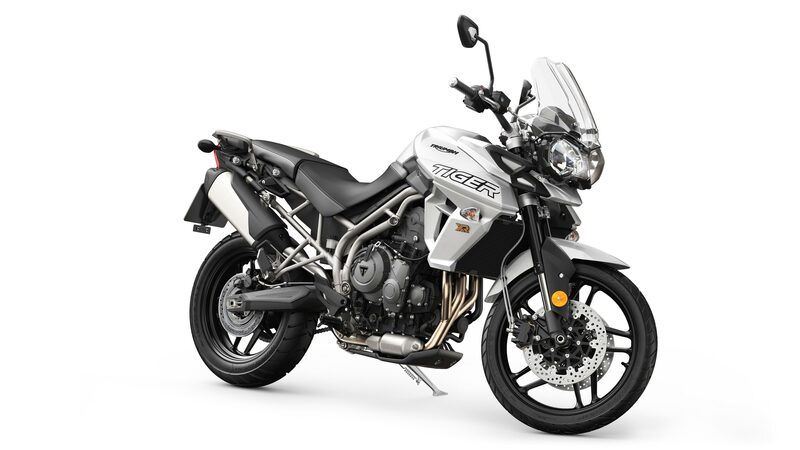 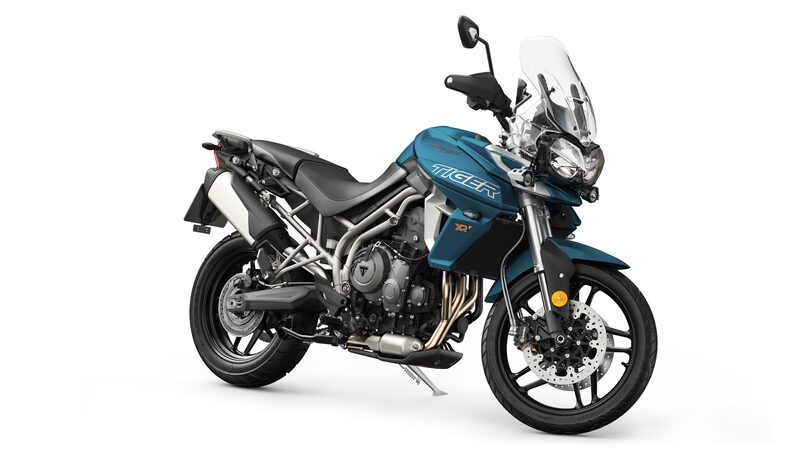 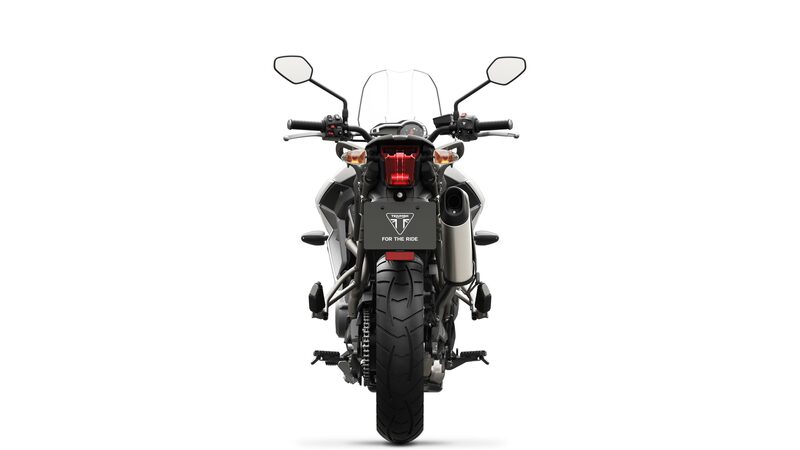 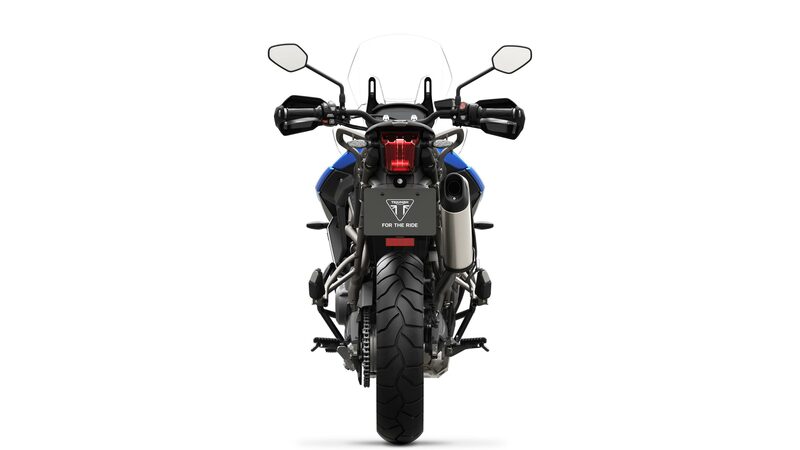 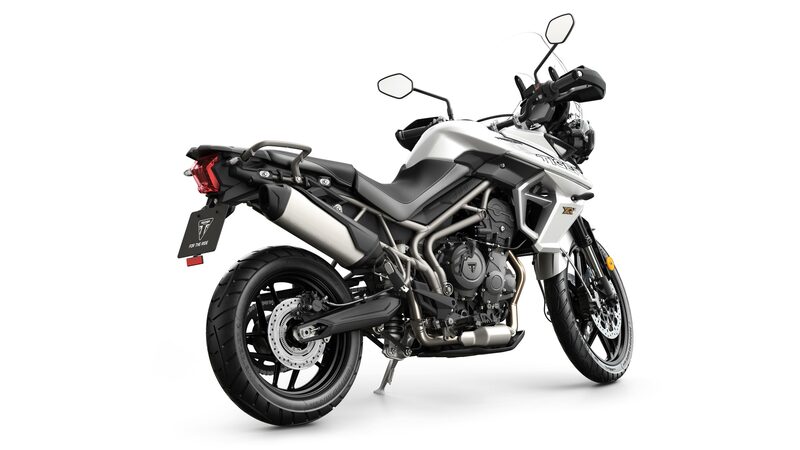 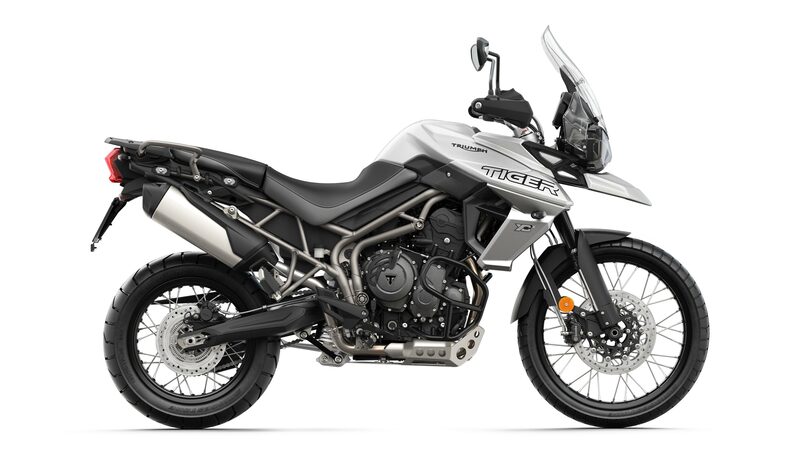 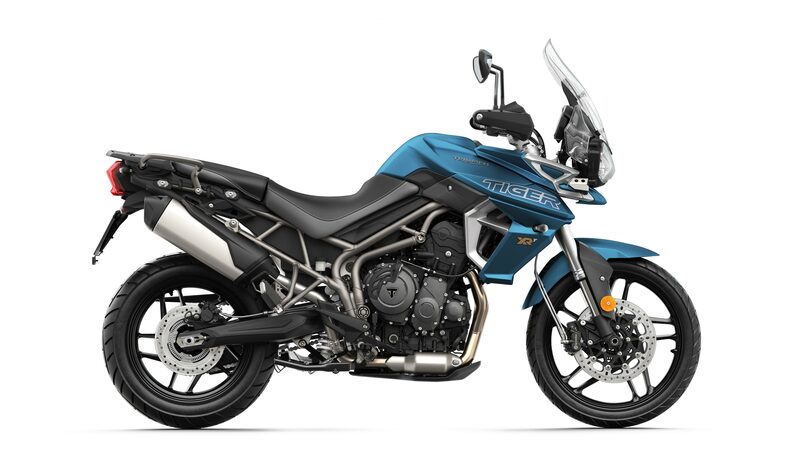 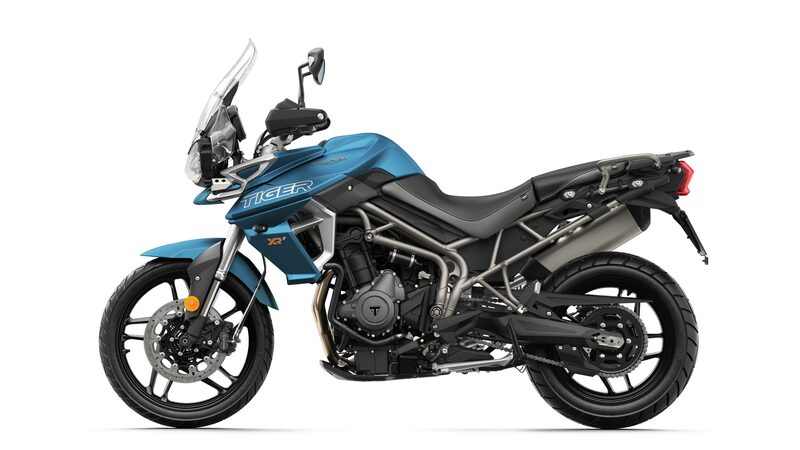 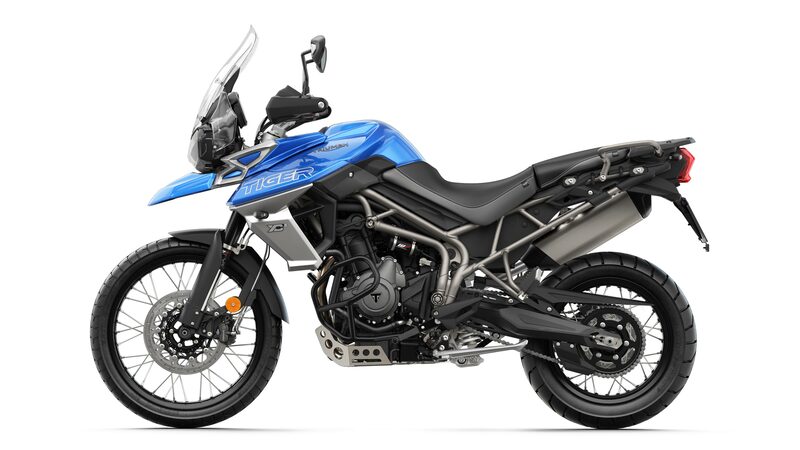 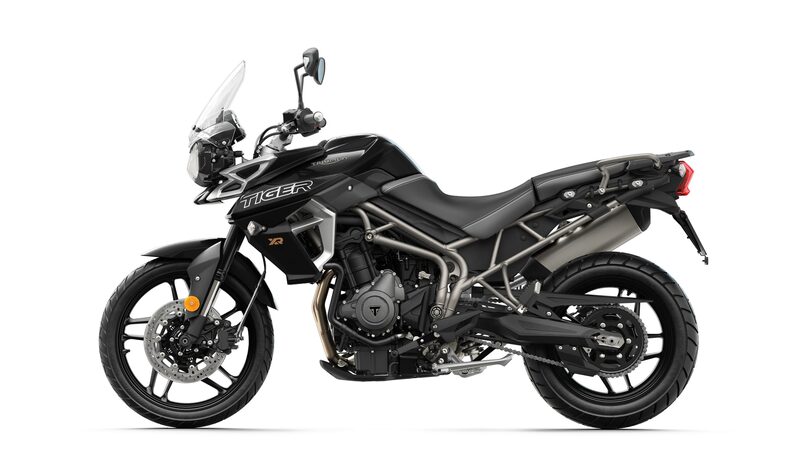 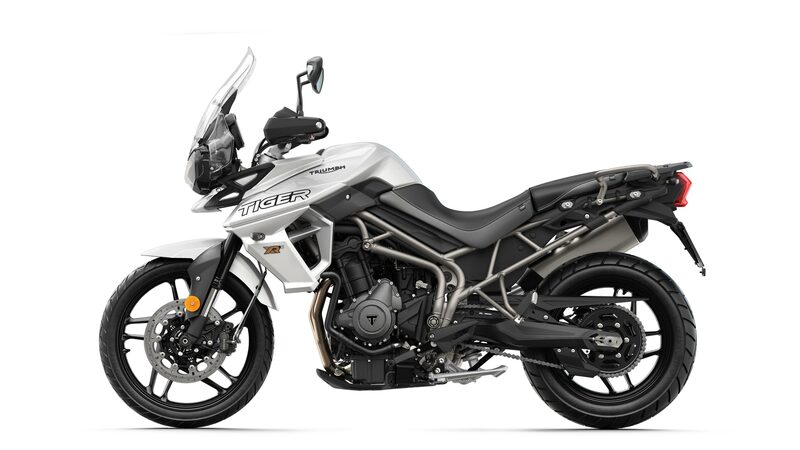 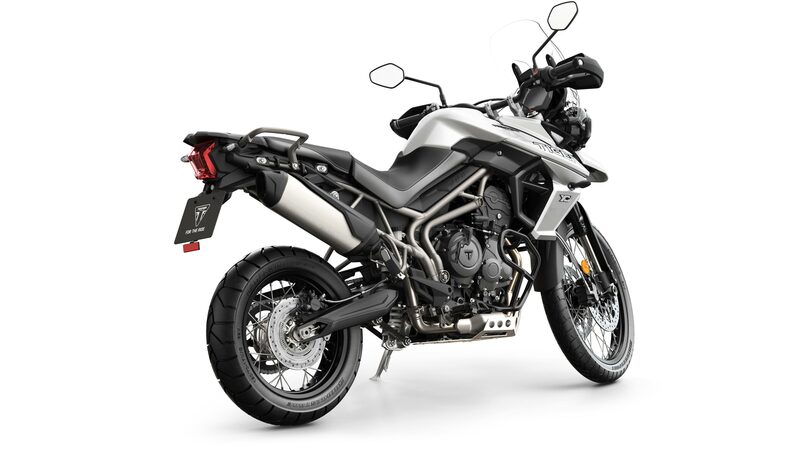 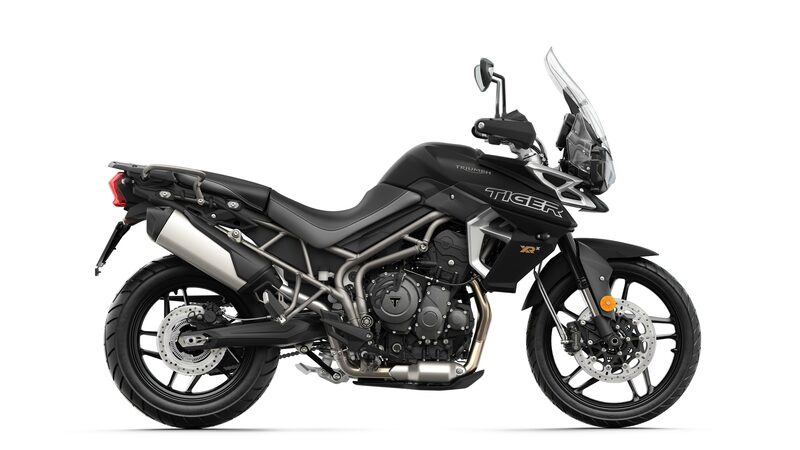 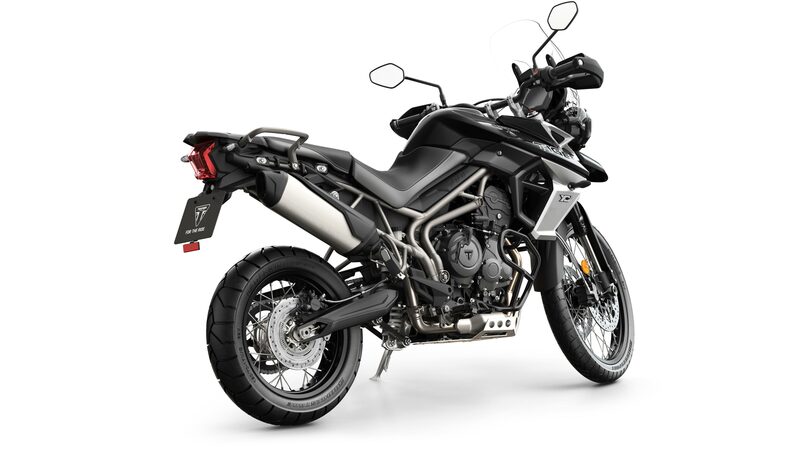 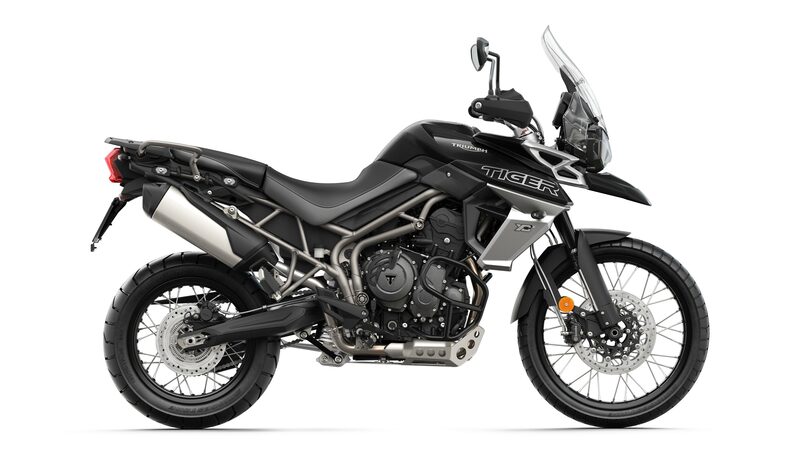 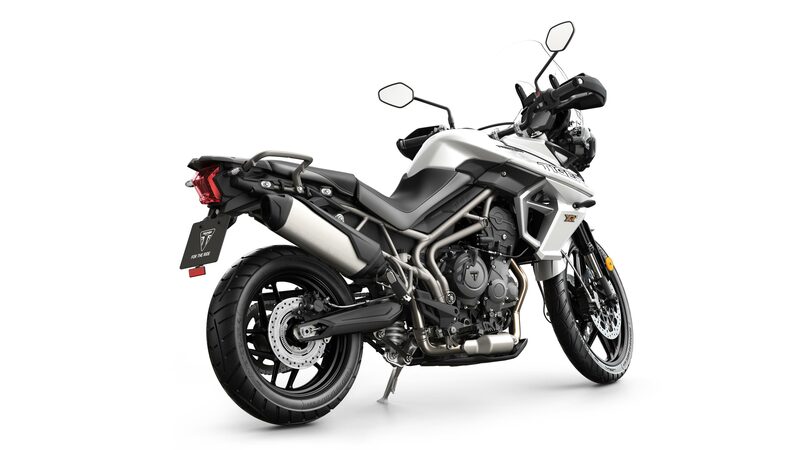 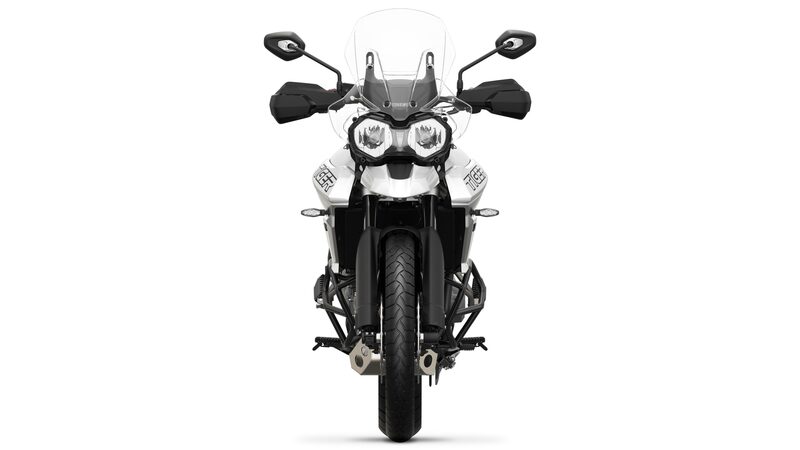 Still available in six confusing different varieties, there is a Triumph Tiger 800 model for just about anyone looking to ride on the street and off-road. 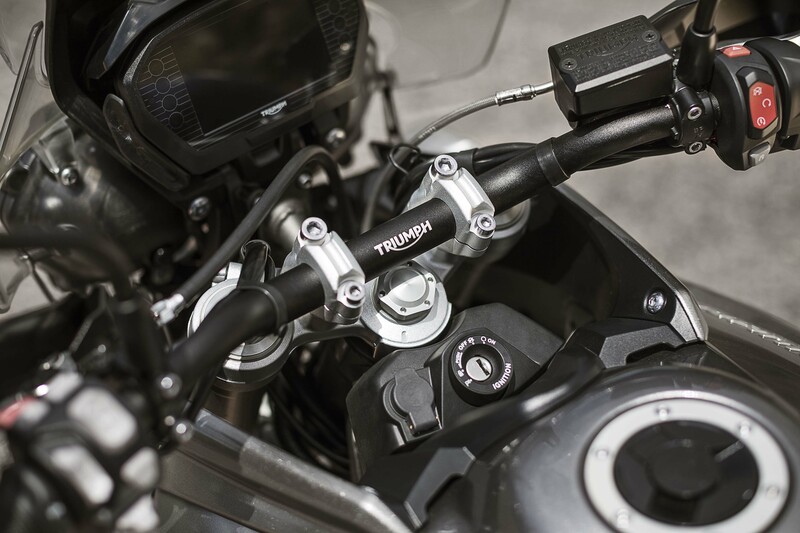 Thankfully, this year Triumph has provided us with a clever spec sheet that shows more clearly the differences between the line. 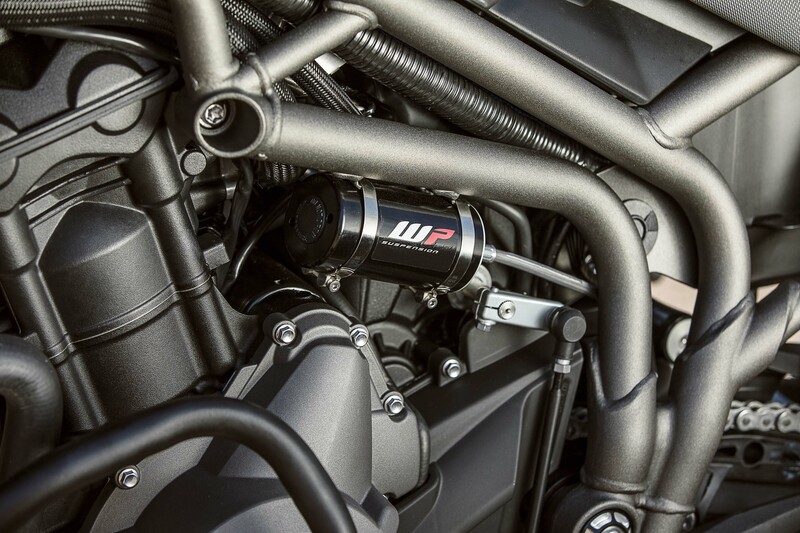 Instead of trying to spit those all out to you, it is probably easier to examine the list itself. 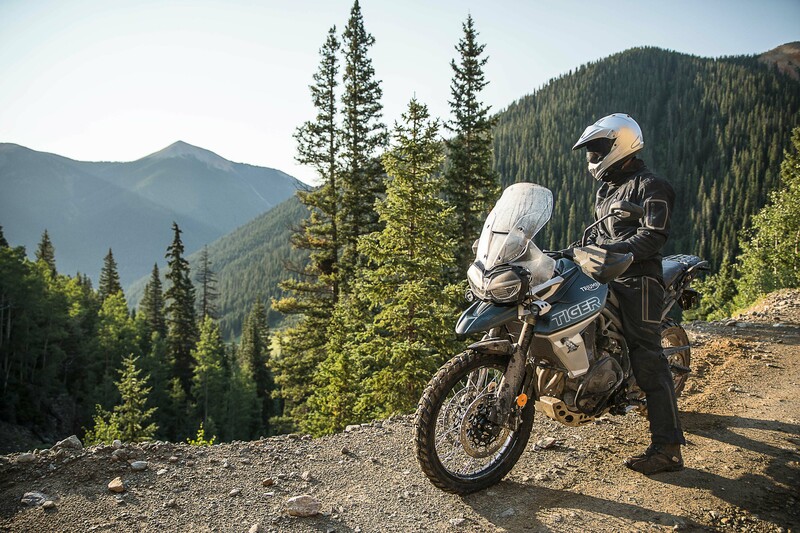 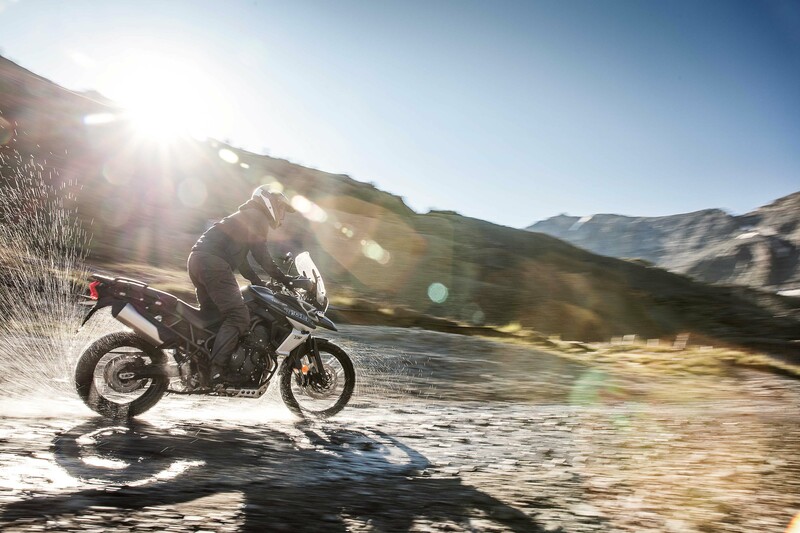 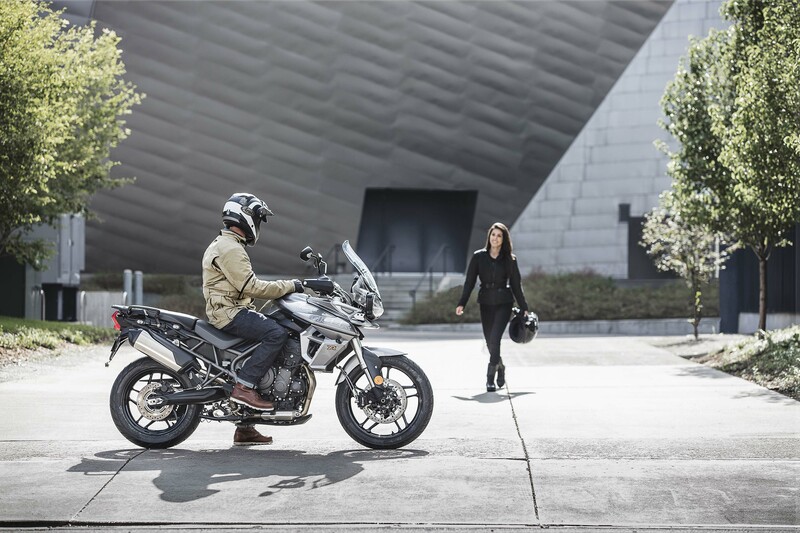 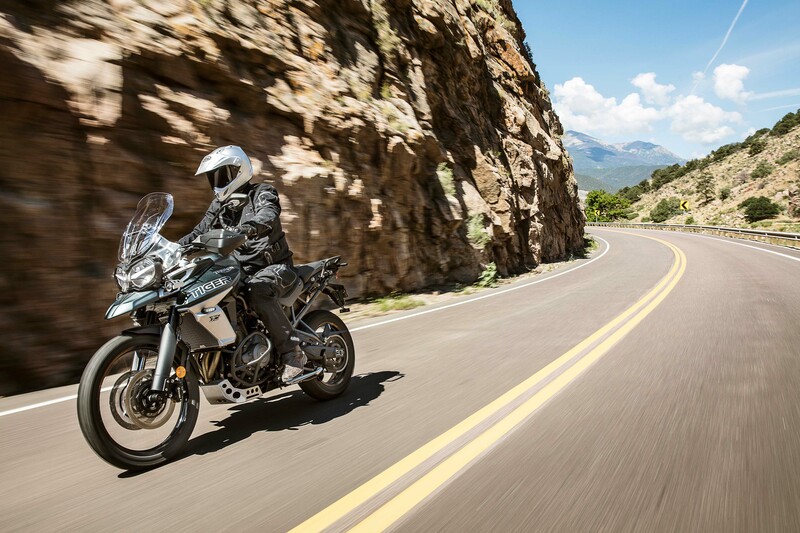 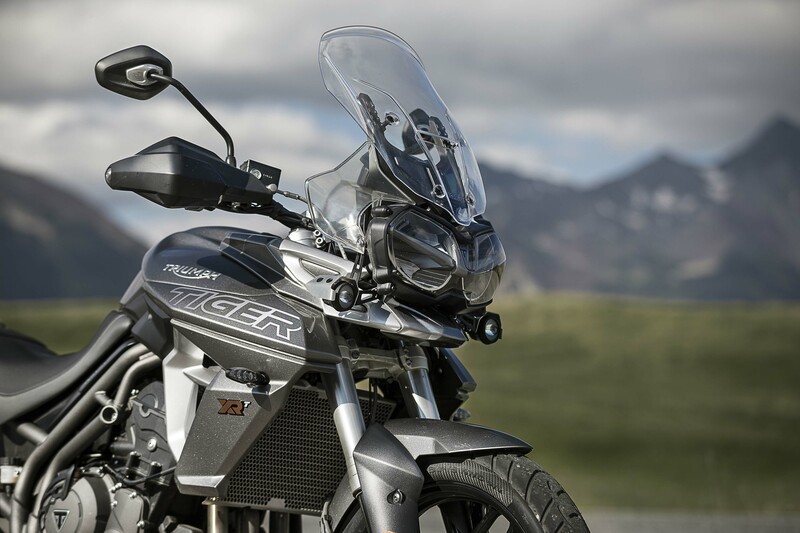 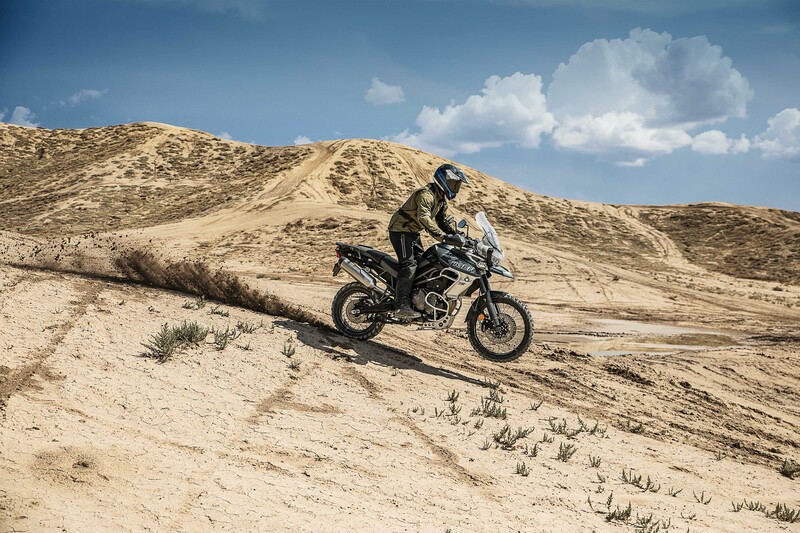 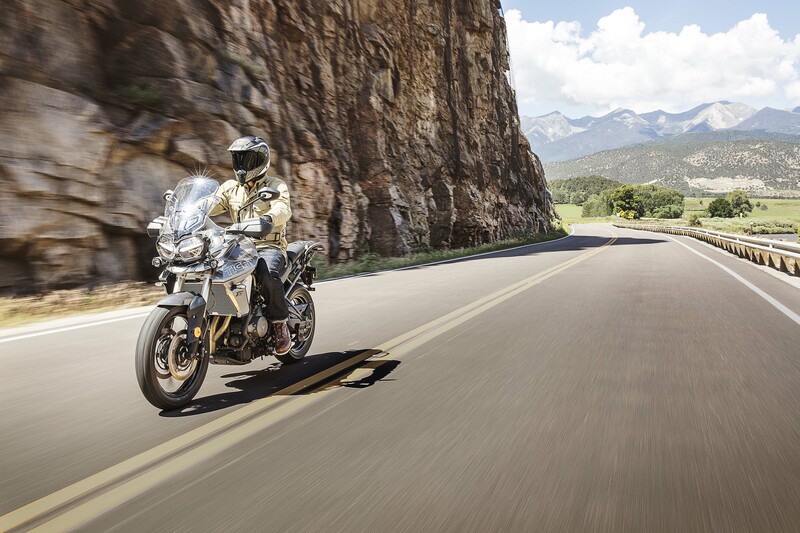 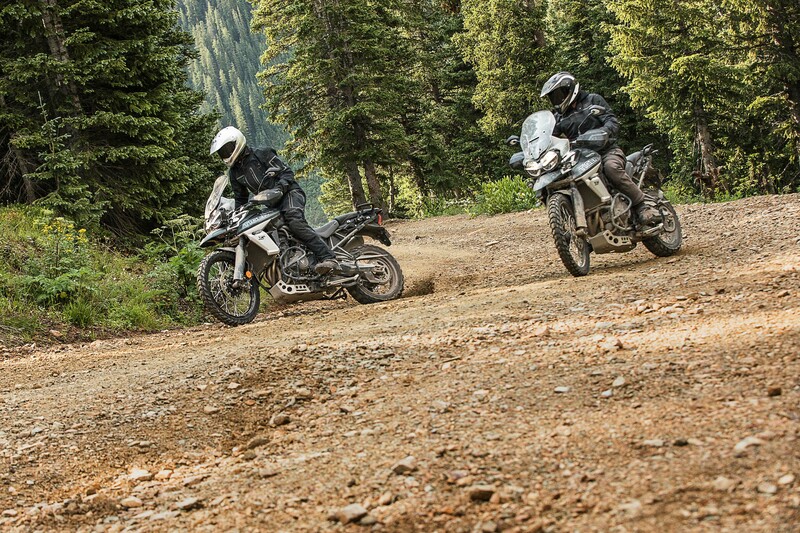 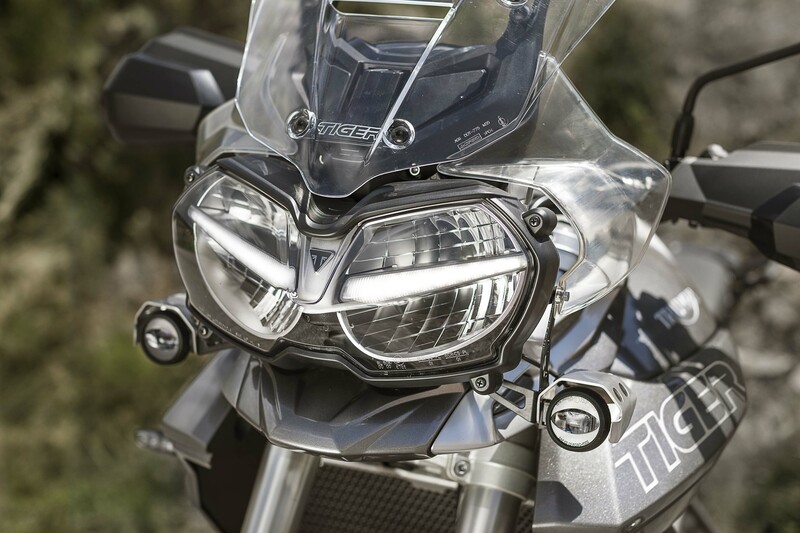 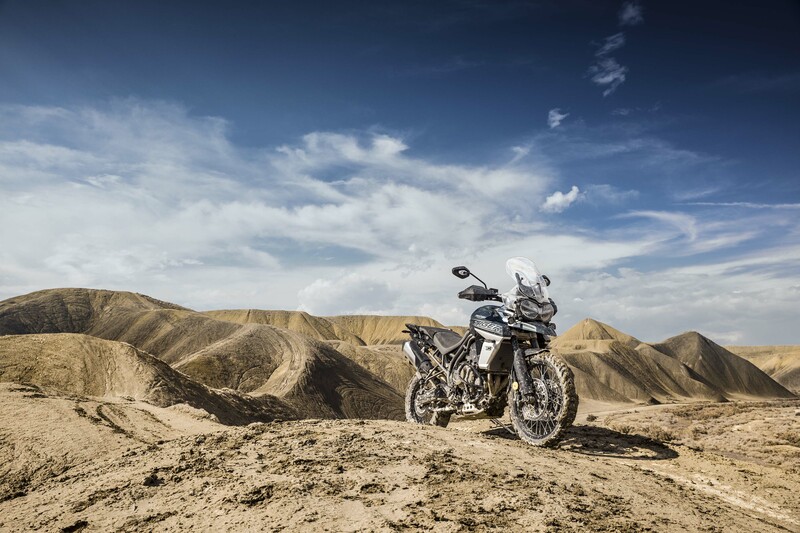 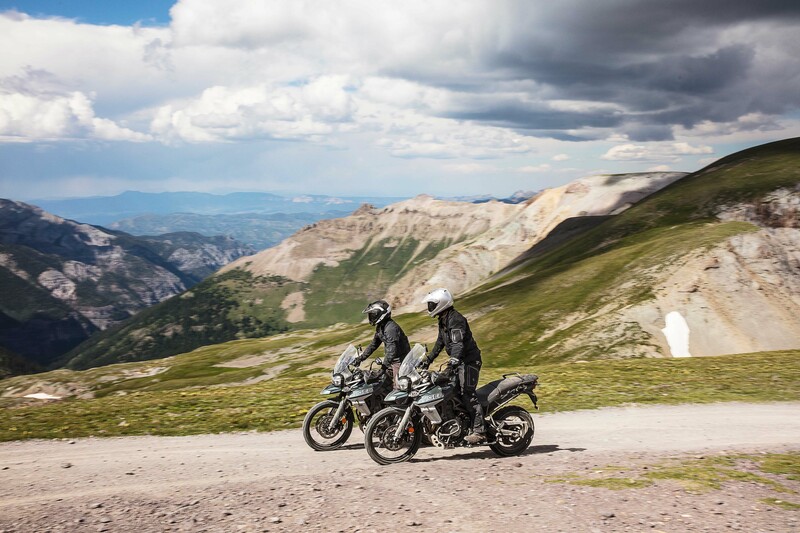 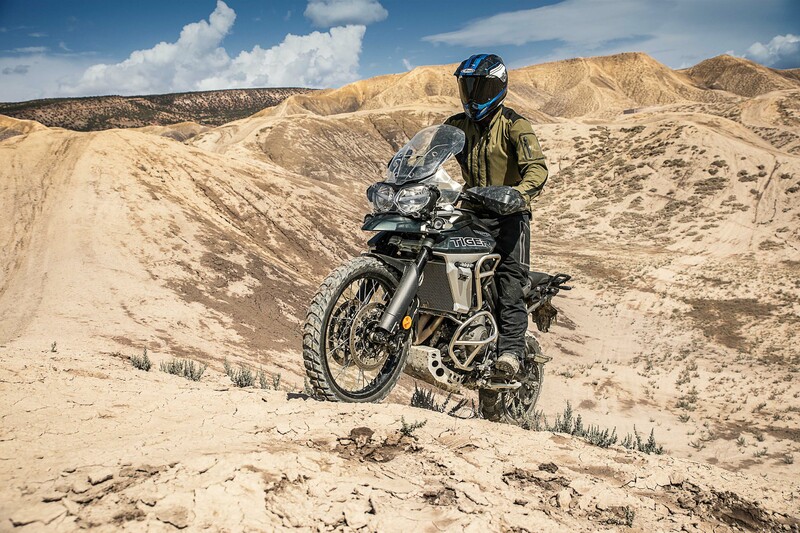 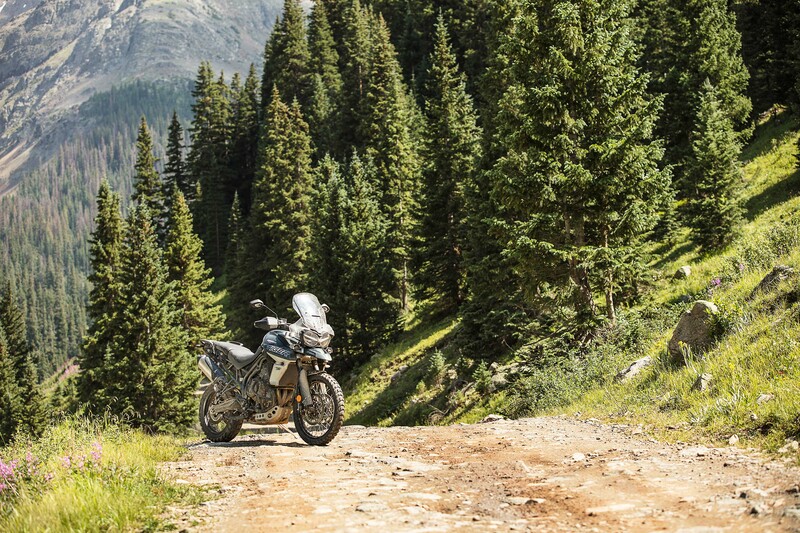 Broadly, the Tiger 800 XC models are off-road focused, while the Tiger 800 XR models are on-road focused. 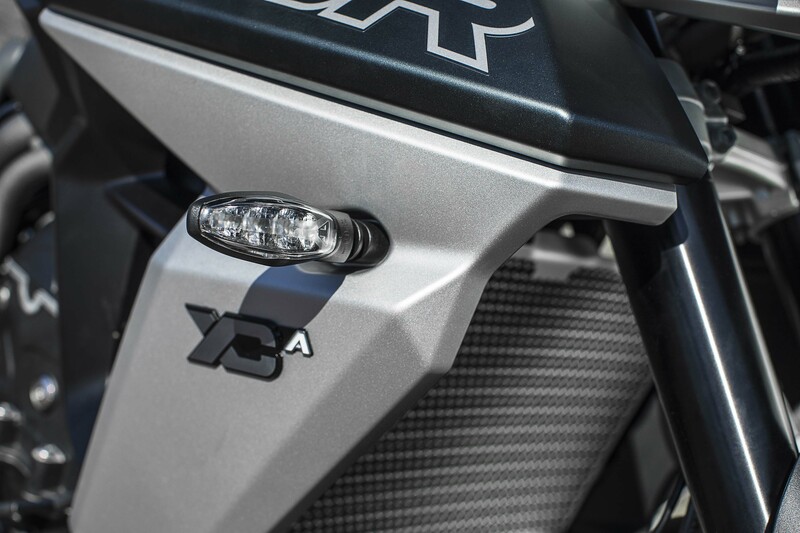 Also, the more letters, the more features, though the lowercase “x” models have less than the “A” and “T” models…aww crap, we told you it was confusing.